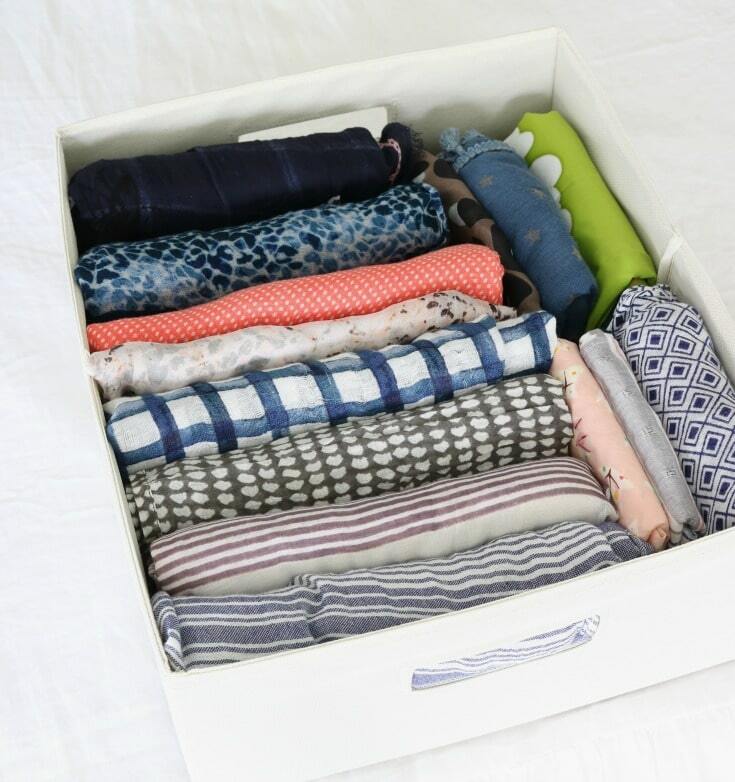 Who is familiar with the Marie Kondo Method of Tidying Up? Raise your hand. It is not just taking the nation by storm, it is taking the world by storm! She has started an organizing revolution. It’s amazing, and apparently needed by many people. However, Marie Kondo’s method is not for everyone. In fact, her method is drastic and for many of us, too daunting. So, Jodie and I have taken her inspiration and created our own modified version. Our recommendations employ the best aspects of her philosophy and process and make it attainable for real life. It is working for us, and we think it will work for you! 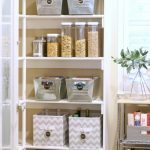 For more tips and inspiration to help you get organized this year be sure to read about how I created my Dream Office and how I organized my Pantry. And if you missed it be sure to read about how I created a fun Kid’s Study Space. We love sharing our organizing projects with you! 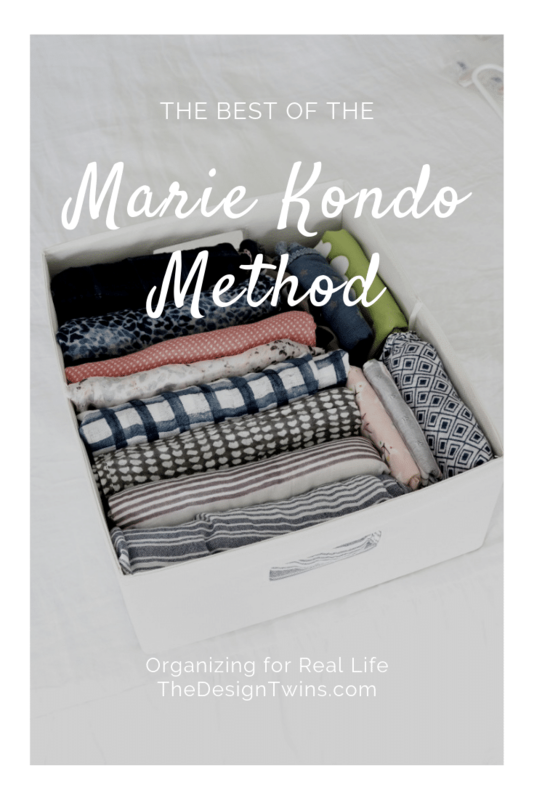 What is the Marie Kondo Method of Organizing? In case you’ve miss this whole revolution let’s get you caught up! Marie Kondo’s “KonMarie Method” of tidying applies the philosophy that everything you own should “spark joy” in you. And if it doesn’t you should let it go. 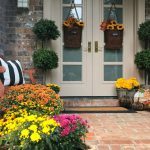 This selective process frees you to more fully enjoy the things you keep and also enjoy your home and ultimately your life! The order is important. You start with the easiest category and end with the toughest, which makes sense. Instead of working by area it is essential for her method that you tackle an entire category at once. 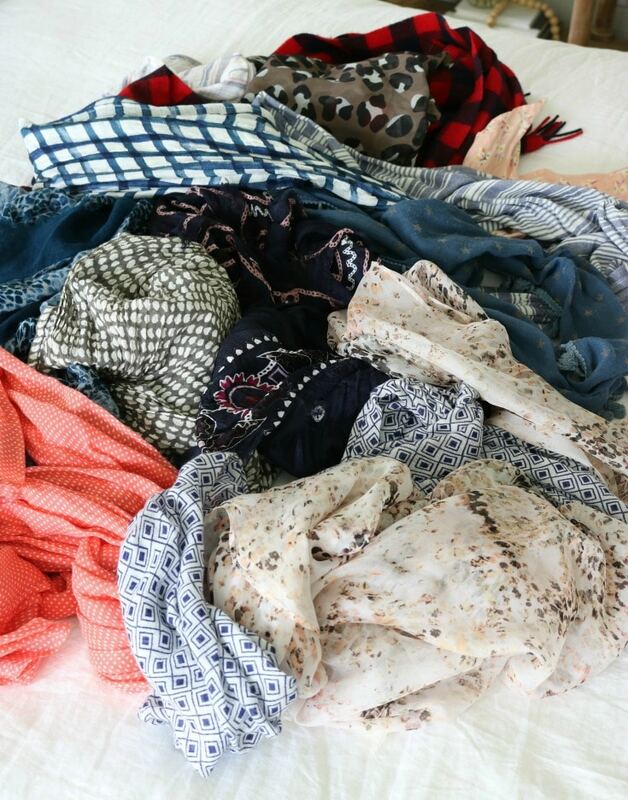 For example, as a first step she insists on having her clients take every single article of clothing they own from every place in the home and pile it in one mountain of clothes. The shock factor is part of the process. Seeing all that you own makes you finally realize just how unnecessary most of our clothing collections are. Now that it is all out you are forced to “deal with” each and every item. Having the mountain of belongings out and in your way means you can’t get on with your life until you finish. Time. The main problem for most of us busy people is the time commitment necessary. When you take every single item in a category and place it in a mountainous heap in the middle of your bed or floor it needs to be dealt with before life can continue. Who has 10-20 hours at a time available to them? Anxiety. It’s overwhelming and anxiety producing. This mental roadblock is as real as the timing issue. I couldn’t bring myself to do it. As excited as I was I couldn’t begin. This girl hates mess. Big time. No promise of a joy-filled future could bring me to create the kind of overwhelming mess necessary to get there. Marie Kondo has you hold each piece and decide if it “sparks joy”. Some people struggle with this process. We don’t all connect with inanimate objects and feel emotion. Many people slowly evolve and improve. 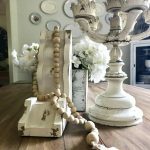 If you don’t relate on an emotional level to the items you own how do you decide? The whole question of need, function, practicality, past, present, and future all come into play as we try to decide what to keep and what to let go of. Marie Kondo says let go of the past and the future in order to be happy in the now. We really agree with this as a goal. We love how this parallels our own philosophy of life. To be happy in our hearts and minds we need to do the same. So it makes great sense that we should apply this to our belongings as well. Jodie and I agree with this as a goal, but it can be challenging. It is a bit idealistic because we run into trouble when our ice scraper fails to bring us joy, and yet we know that one day next winter we might need it. Finding joy in each and every possession you hold onto is unrealistic for most of us. We “need” a few more things to allow our lives to properly function. 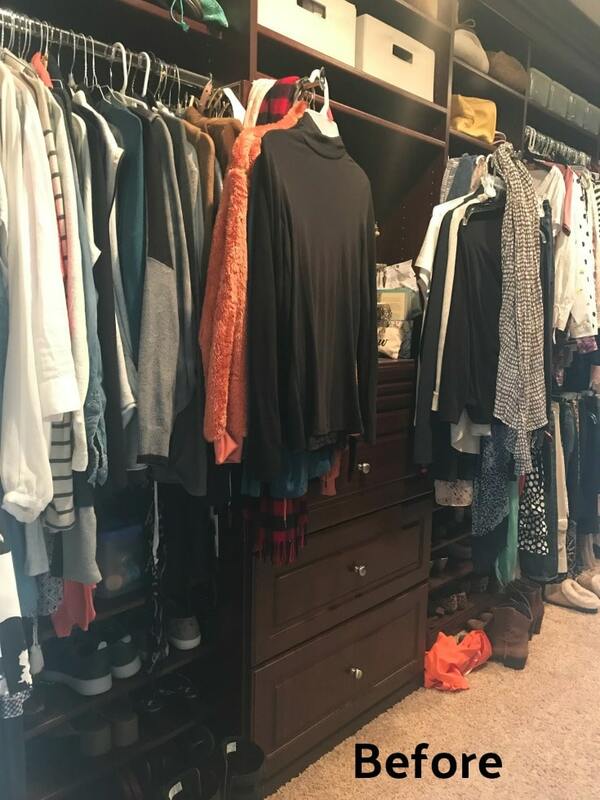 I used the philosophy of keeping only what sparks joy to help me go through all my clothes in our master closet. But I didn’t take everything out and heap it on my bed. 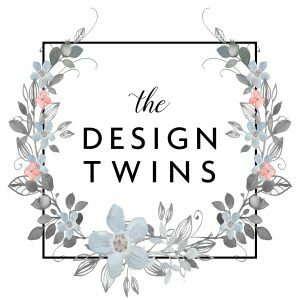 Where would I have slept during the week-long project? Our compromise advice: Take small increments of time available and work through the closet. You will be encouraged by progress. The goal remember is progress not perfection! I first read “The Life-Changing Magic of Tidying Up” by Marie Kondo on a beach vacation in Mexico (of all places) 4 years ago. I remember not being happy that it was the only book I had left to read. 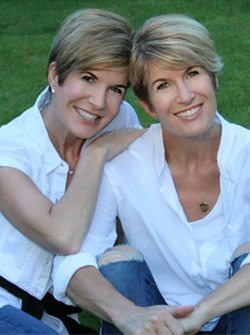 In the first few chapters I remember clearly thinking, “who is this crazy lady?” and by the end I had bought into everything she was saying, mesmerized by her promises of life-changing joy. It was the only book in my life that I finished and immediately turned back to page one to reread it! Yes, I wanted what Marie promised! I returned home from that vacation ready to go, just as soon as I could find the time. Mind you, this was before blogging or any big Instagram commitment. I didn’t have a lot on my plate 4 years ago, and even as excited as I was, I still had a hard time starting. In fact, it was so hard to begin I never did. I wanted to, but I just couldn’t bring myself to do it. So what progress did I make? None, zero! We agree conceptually with most everything Marie presents and in a perfect world with nothing else to do maybe we could embrace the process. But alas! The reality is that we are busy, busy, busy, just like all of you. We don’t have 10 hours of time available EVER! So we wholeheartedly believe that progress, any progress, is better than none. Wouldn’t you agree?? It has been 4 years of thinking, hoping, even praying, that I could attack my growing disorganization. It is beginning to weigh me down. My extensive storage in my home is nearly full, which makes me uneasy just thinking about it. I need to begin, so I need to compromise. Wow, what a difference folding can make! Who knew? This only took me 5 minutes. Marie is all about perfection. And I think perfection is over-rated. I believe that shooting for perfection can make the task impossible. So let’s compromise! Most weeks are busy, but within the framework of a week we all have an hour here and an hour there. These small bits of time can be put to use! Sit down with your calendar and peek at the week. Look for openings. Jodie and I like 30 min – 1 hr slots. Pencil in organizing dates with yourself. Even if you can tackle a drawer or a small closet that is progress. The feeling you get from this will motivate you to do it again. Progress is exciting. It’s not overwhelming. It’s workable! Besides the planned “dates” when you find yourself “puttering about” use that time to tackle another area. This works really well for me. I’ve started to get into the habit of just opening a cupboard, drawer or closet and getting to work. It’s like the feeling I get from doing a mini workout. I’m mentally energized with the feeling of productivity. The system both Jodie and I have used for years is simple. We get 3 bags out. If you don’t regularly donate items first identify your preferred donation recipients. Over the years we’ve had various families who we contributed to. We have our church who takes certain things. And we have several donation drop off areas that we can give to as well. If you have a variety of donation options you might have 2-3 donation bags working at once. Donating to charities you care about really helps with the process of letting go. When you know that you aren’t just “throwing it away” but giving it to a better home and people that need it you can much more easily let go. Many of us have a deeply rooted philosophy that we don’t want to “waste”. Donating items means you aren’t wasting…you’re giving. It creates a win/win scenario. Now don’t get us wrong! 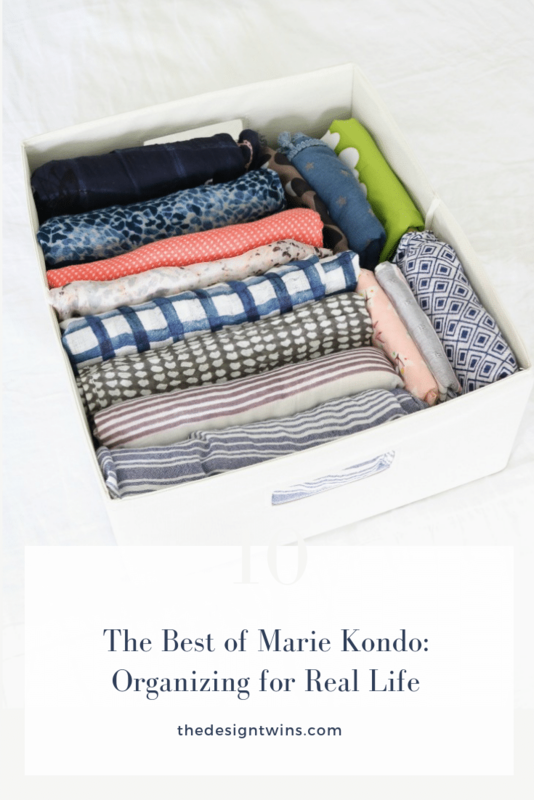 We love Marie Kondo and her passion for organizing and finding joy in what we own. Her philosophy regarding simplifying life by letting go of what you don’t need and what may be weighing you down makes wonderful sense. 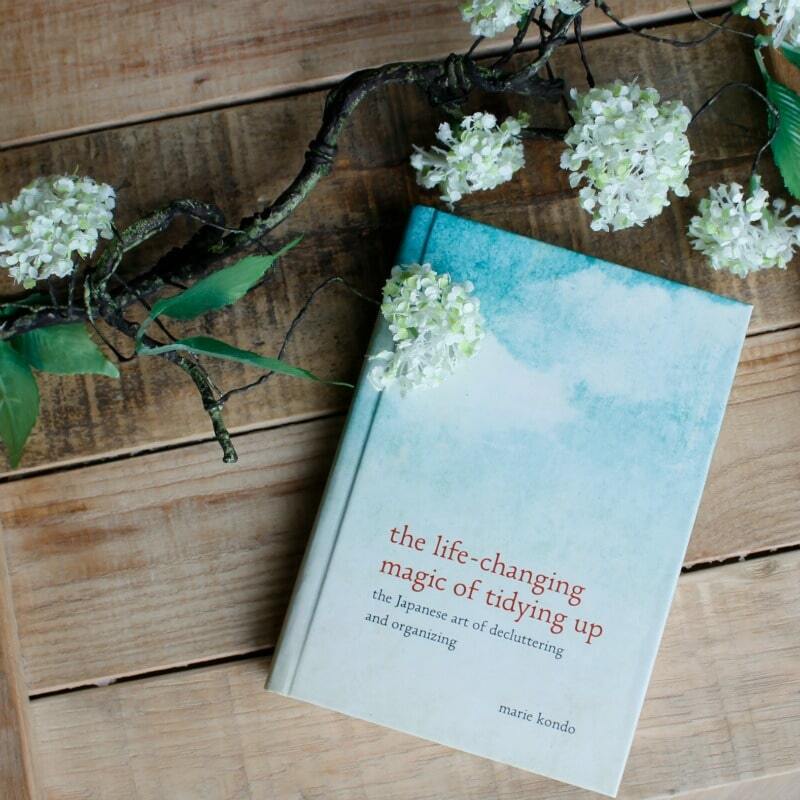 We highly recommend reading her book, The Life-Changing Magic of Tidying Up. Or if you prefer, watch her show on Netflix called “Tidying Up with Marie Kondo”. Both will inspire you to begin this journey. However, if you are like us, you may find yourself at a stand-still. In fact, you may not even be able to begin. Her method is so daunting and time-consuming. Instead of aiming for a radical overhaul we prefer a compromise. Compromising is better than staying stuck! Our goal therefore is progress not perfection. Wishing you an organized, joy-filled home! We take the best of the Marie Kondo Method of organizing and make it doable for real life. 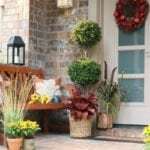 We employ her philosophy of simplifying and finding joy to a more realistic system that everyone can accomplish. Instead of shooting for unattainable goals we recommend a compromise that puts progress before perfection. I agree with you! I have avoided watching Marie because I already expected it would be a bit overwhelming. I’m a pretty well organized person for the most part, but since having a health issue I haven’t been able to keep up so well. I just do small areas that don’t take more than 15 to 20 minutes to do. As for my closet, that will take a while as I’ll do small sections at a time. Thank you for bringing common sense to this popular trend! on a little bit at a time and eventually we’ll all get there.